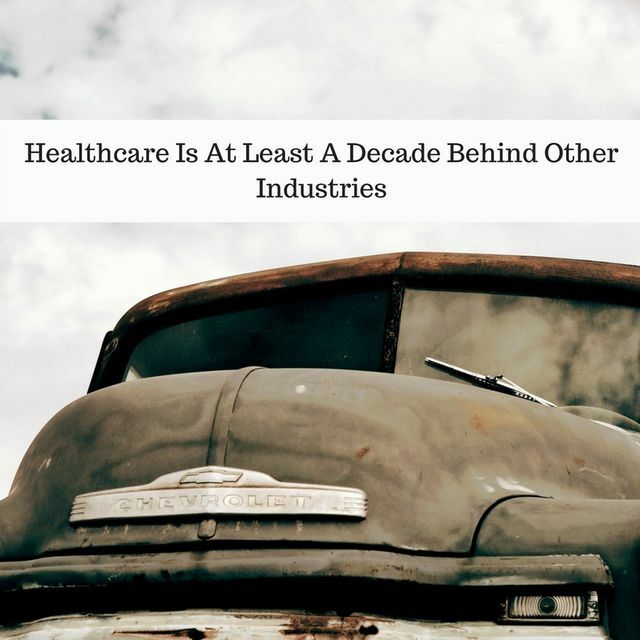 Do You Agree That Healthcare Is A Decade Behind Other Industries? It's been more than 17 years since the Institute of Medicine (IOM) published To Err Is Human, which focused on creating a safer healthcare system. Among its central points is the contention that "Healthcare is a decade or more behind many other high-risk industries in its attention to ensuring basic safety." This sobering finding, along with a recent (often criticized) paper from Johns Hopkins, makes me wonder where exactly we are as an industry today. How would the IOM whitepaper look if it were released today? Would we be a decade behind other industries in terms of safety, or has the gap narrowed? Here are some of my thoughts on the current state. Also, click the link beneath for more info on the current state of healthcare quality as I recently described it on TheHill.com. This point is well known in healthcare quality improvement circles, and comes directly from the Institute of Medicine (IOM). In 1999, the IOM published “To Err Is Human,” which codified what many quality experts in healthcare already knew: In terms of quality improvement, healthcare is at least a decade behind. More recently, a widely criticized paper from Johns Hopkins cited medical errors as the third leading cause of death in the United States. Here, then, is the situation: Healthcare continues to be a decade or more behind other high-risk industries in terms of quality improvement. Standard quality techniques, like the COPQ for waste measurement, are not commonly used.